Today&apos;s Recipe Wednesday comes from the Hip Foodie Mom blog and is one of the easiest recipes every posted! Some people say "you get what you give," but that is not the case with this recipe. It taste so good, you won&apos;t believe you made it in only 3 simple steps! 1. In a large skillet, heat up the oil and butter over medium to medium-high heat. Sear the scallops and shrimp, about 1 minute per side. Remove from the pan and set aside. 2. Turn the heat to medium and add the garlic and pepper flakes. Cook until soft, but not brown. Add the tomato sauce and cream. 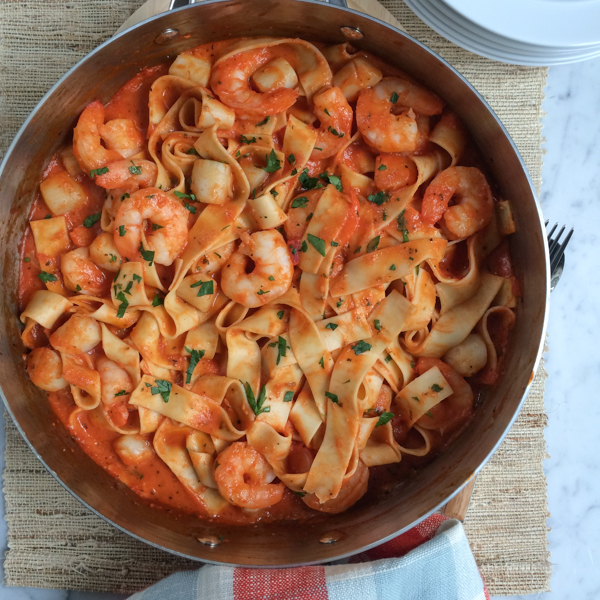 Return the scallops and shrimp to the pan and simmer gently on low while the pasta is cooking. 3. Cook the pappardelle according to the package. Drain and toss with the sauce and seafood. Enjoy immediately with a sprinkling of flat-leaf parsley. Julie is the Communication Intern for Visit Baton Rouge. Before relocating to Baton Rouge, Julie lived in Haughton, Louisiana and attended Louisiana State University in Shreveport where she received a degree in public relations. 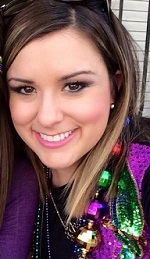 She is now as a graduate student at the LSU Manship School of Mass Communications. She loves reading, watching Law and Order, playing with her dog, traveling and exploring the amazing city of Baton Rouge. You can follow her on Instagram or on her personal blog.